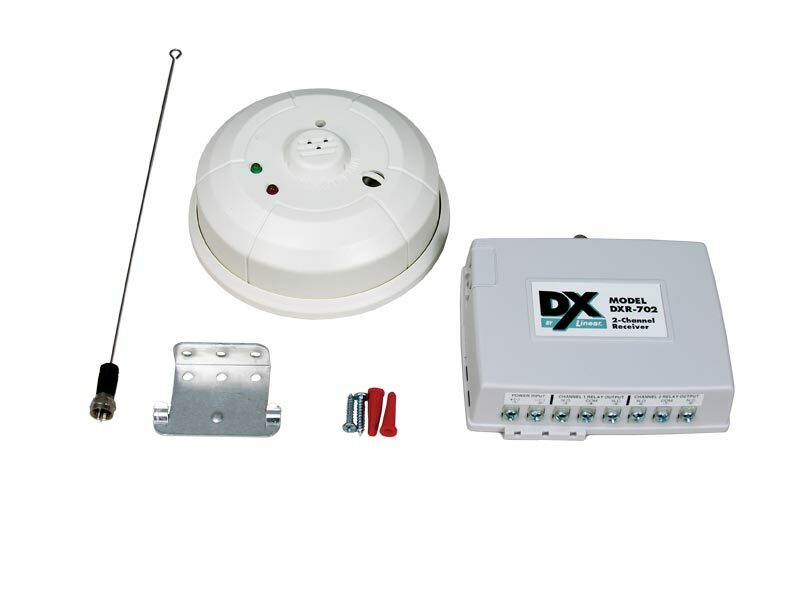 Our DX Format Wireless Security products offer fully supervised, battery powered security sensor transmitting and receiving. We offer two choices of DX Format receivers; the DXR-701 and the DXR-702. The DXR-701 is our 1-Channel Receiver and the DXR-702 is our 2-Channel Receiver. Both DX Format Receivers connect with Linear’s DX Format transmitters to provide reliable security to a variety of venues. With the ability to connect with up to 32 transmitters each, our DX Format Receivers both offer security for virtually any size of facility. Even smaller venues can utilize the DX Format wireless security systems by connecting numerous types of transmitters with all types of security features. More than one million codes can be programmed into each DX Format Receiver in order to maximize its protection capability. A unique feature that our 2-Channel Receiver offers is that ability to detect low battery from any of the connected transmitters that are designed with this option. Numerous DX Format Transmitters are available. DX Format handheld transmitters, door/window transmitters, key ring transmitters, motion detector, bill trap and pendant transmitters all offer different forms of security for different types of venues. Each of our DX transmitters is pre-coded with a unique code in order to avoid system interference. We offer both 1-button and multi-button transmitters. Each button is preset to send a predetermined signal, whether for emergencies or other situations. Our DX Format Transmitters are each battery powered with batteries lasting from two to five years. Battery levels can be communicated to our 2-Channel Receivers in order to avoid operation failure during emergency situations. All of our DX Format Transmitters are easy to operate and install for quick and simple, everyday use. There are no children categories of DX Supervised Wireless Security.